It takes stamina to get through the winter basketball season, the longest scheduled league at Friars Club in Cincinnati. 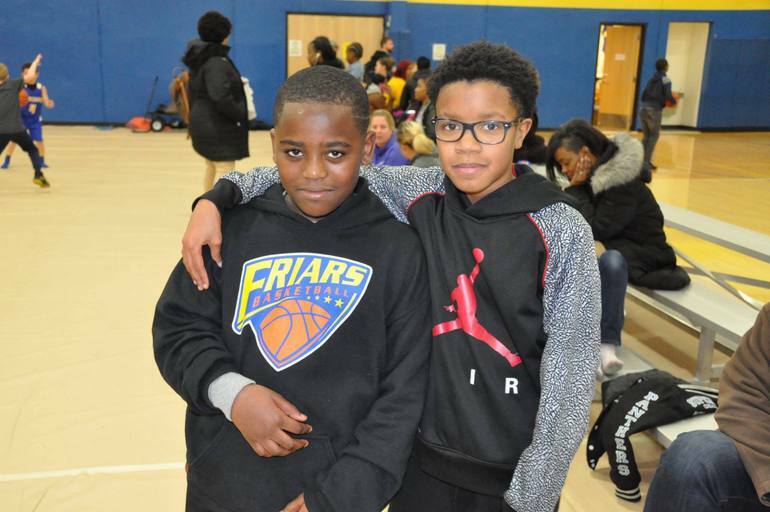 This year’s season, November into March, saw 240 boys and girls in Grades 2 through 8 honing their skills. 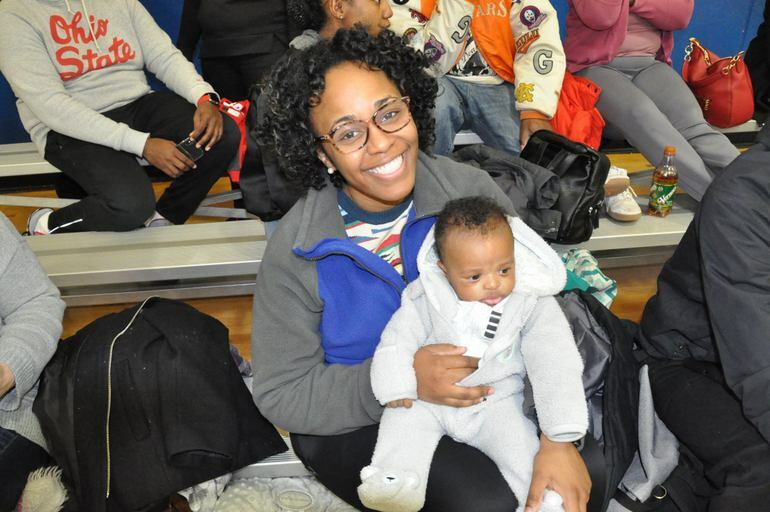 Two nights a week, the children and their coaches came together for practice sessions, culminating in basketball games on Saturday. It is amazing to see the dedication and commitment the children and coaches had. The line was always long for the Obstacle Course, an almost court-length maze of tunnels, slides and walls to climb. Kids competed to see who was the fastest as they raced each other through this indoor, air-filled mountain of physical challenges. Bubble Soccer is not for the faint-of-heart. 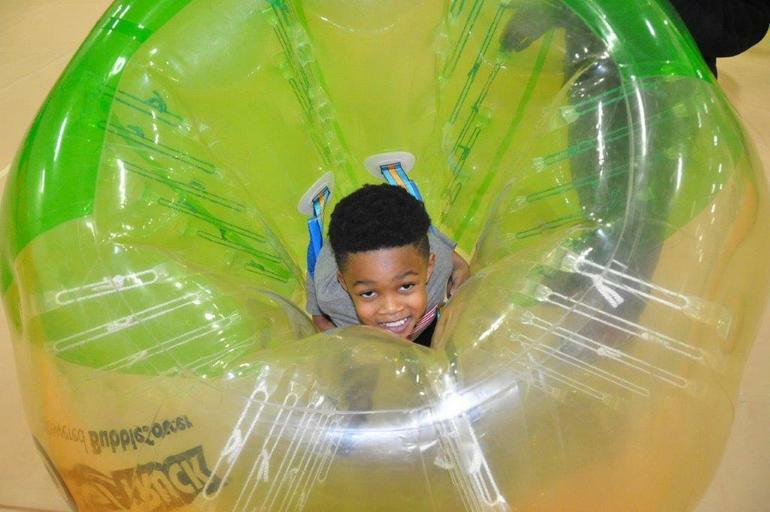 Crawling into the center of a huge inflated plastic ball, getting shoulder-strapped in and then rolling around after “getting bumped” makes for some fun-filled moments and lots of laughs. Wheelchair Basketball, a hit with the kids last summer, returned to Friars thanks to Jake Counts and Ian Smith from the Skool Aid program. This was more than fun for children and adults who participated in these rolling basketball games. They learned about the challenges people with disabilities face and meet head-on in everyday life. The games grew exciting as the teams raced their wheelchairs up and down the courts. The Video Truck is always popular at Family Fun Night. Kids love their video games! One side of the truck is lined with seats and controls; the other side is a wall of video screens. Groups of children rotated in and out throughout the evening. And where would Friars Club be without basketball? There were basketballs flying everywhere in the court where kids were shooting baskets. 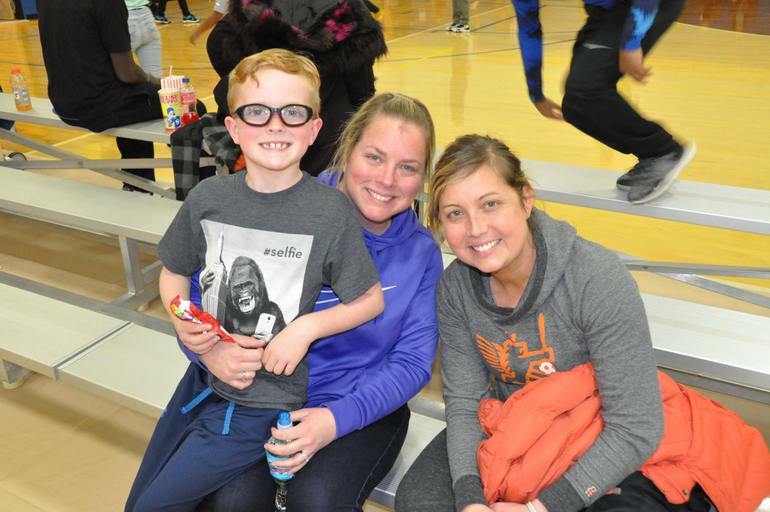 All four courts were filled with the shouts and laughter of kids, coaches, parents and friends.